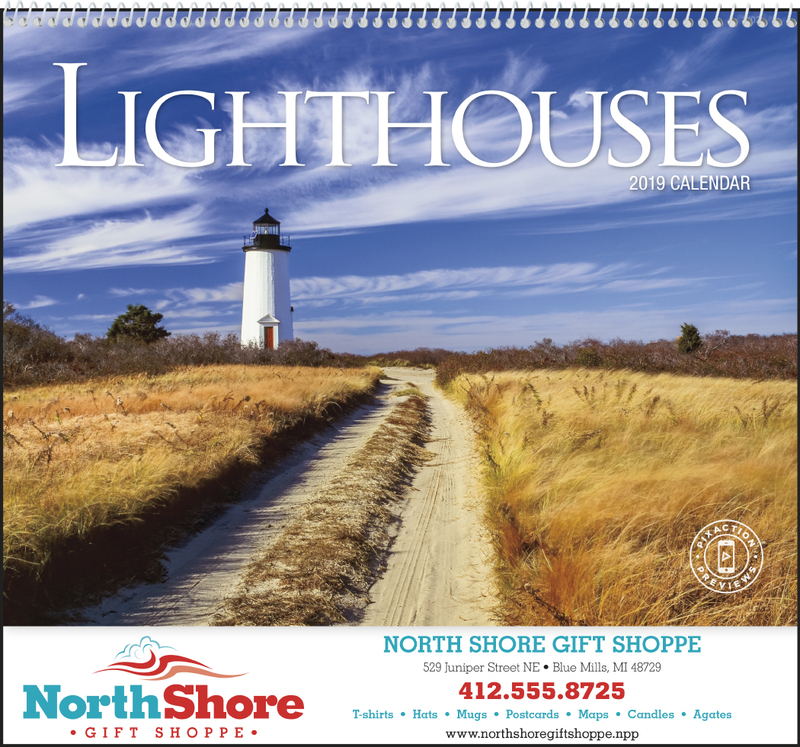 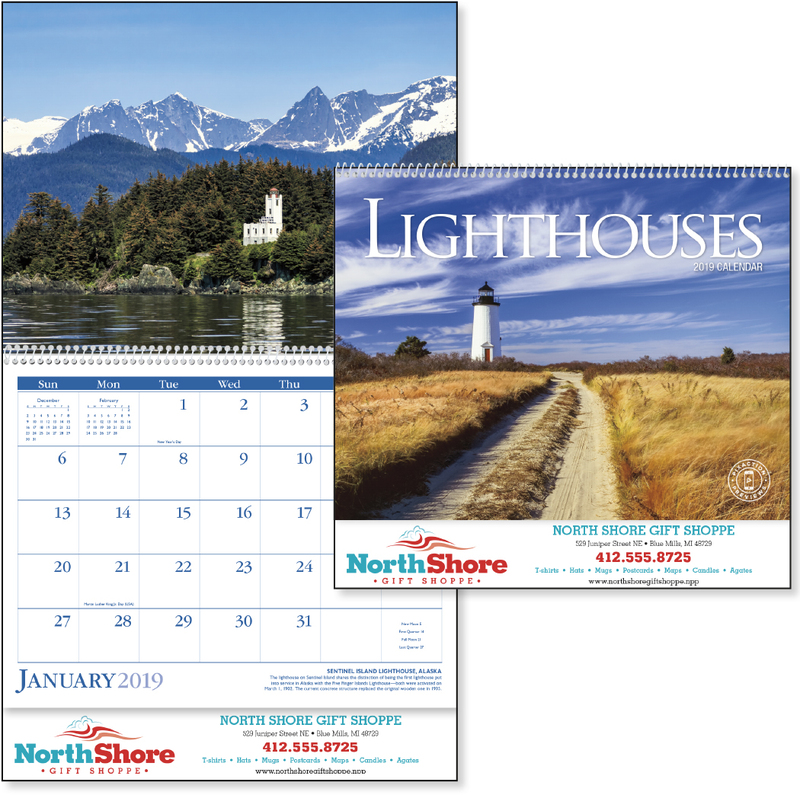 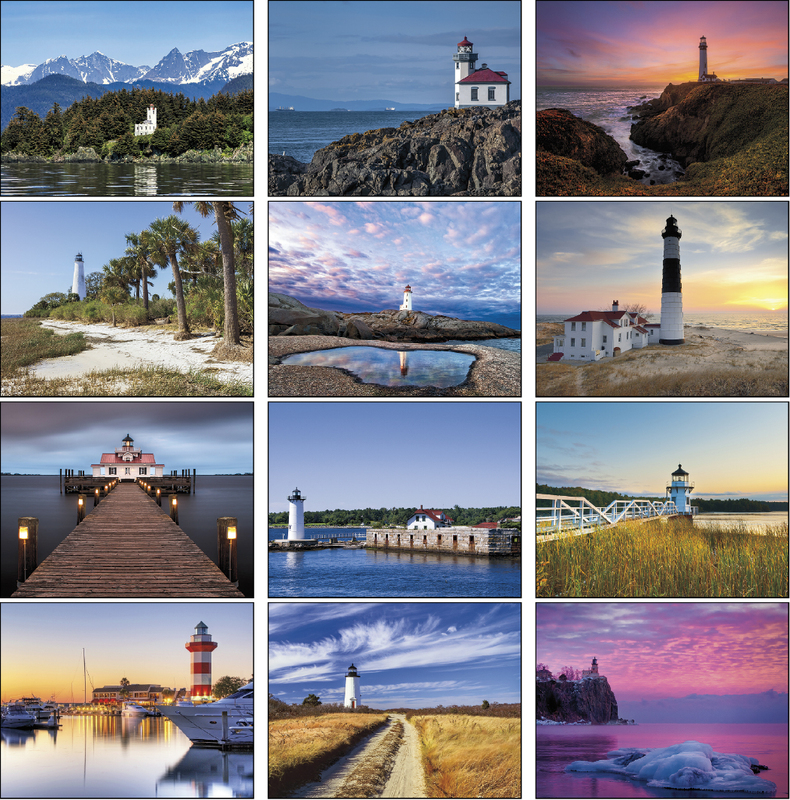 This calendar features lighthouses from rugged coasts and harbors around the United States. 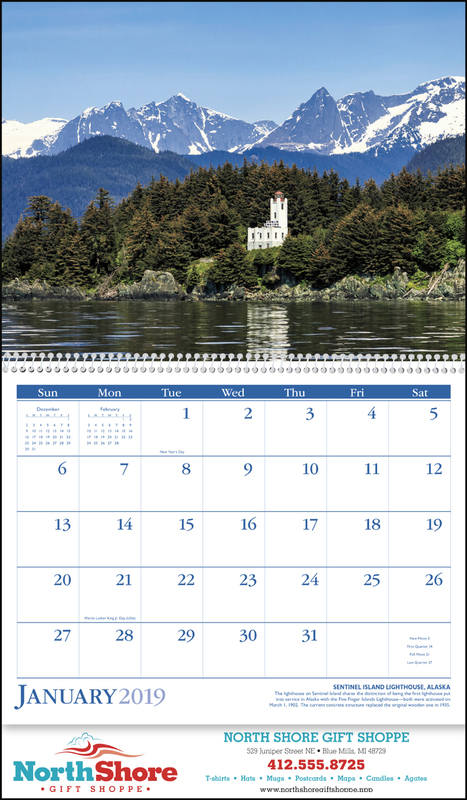 2020 Calendar. 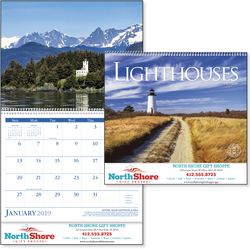 Add value to your calendar with an extra sheet and/or an Insights backmount for no additional cost. 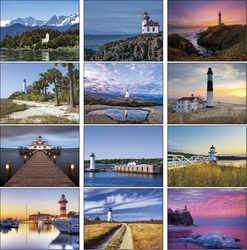 Pixaction Preview included on this product. 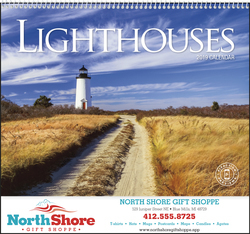 Top markets: financial, retail, insurance.